The sky's the limit for Rotherham-based Martek Medical, which has secured a deal to supply lifesaving equipment to easyJet, the UK's largest airline. Manvers-based Martek Marine is one of the world leaders in the supply of safety and environmental monitoring systems for the shipping industry. 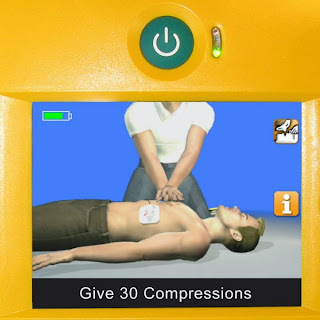 Martek Medical specialises in lifesaving products including semi automatic external defibrillators that guide the user through the stressful experience of treating someone suffering from a Sudden Cardiac Arrest (SCA). 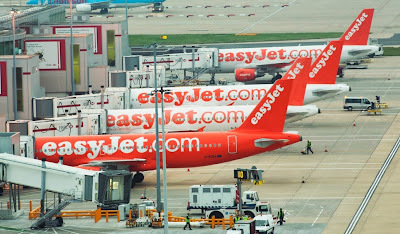 easyJet operates on over 600 routes across more than 30 countries with a fleet of over 200 Airbus aircraft. It has equipped its fleet of aircraft and offices with the Defibtech Lifeline VIEW Defibrillator, which is the latest technology available for treatment of SCA. SCA is the biggest killer in the world accounting for around 140,000 deaths in the UK alone each year. Speed of treatment is vital, as the chances of successful defibrillation decline at a rate of around 10% with each minute that passes. All airlines are legally required to train their cabin crew in first aid and to carry first aid kits on its aircraft, however, there is no legal requirement for them to carry defibrillators. easyJet identified that it is best practice to have a defibrillator onboard all their aircraft, one that is simple to use in pressure situations, rugged, compact and lightweight for stowage in overhead lockers. Martek secured the tender and will supply the Lifeline VIEW defibrillator which includes integrated video and step by step visual feedback for performing CPR, rescue breathing and external defibrillation, the first AED to do so. The user not only hears the audible instructions but also sees the video and the written text prompts on the screen, effectively providing three modes of instruction. Steve Coulson, director at Martek Medical, said: "We are delighted to work with easyJet to supply lifesaving equipment. We know that easyJet has seen the benefits of utilising the state of the art Lifeline VIEW which has unique features specially developed for transport applications such as this." The contract win follows on from a similar deal for Martek with Etihad Airways, the national airline of the United Arab Emirates, that will see the Abu Dhabi based carrier use Lifeline VIEW AEDs onboard its fleet of aircraft. Martek Medical is the official UK distributor for Defibtech products. Delta, Air France and Thai Airways International are among the airlines which use Defibtech AEDs onboard or in their ground facilities.